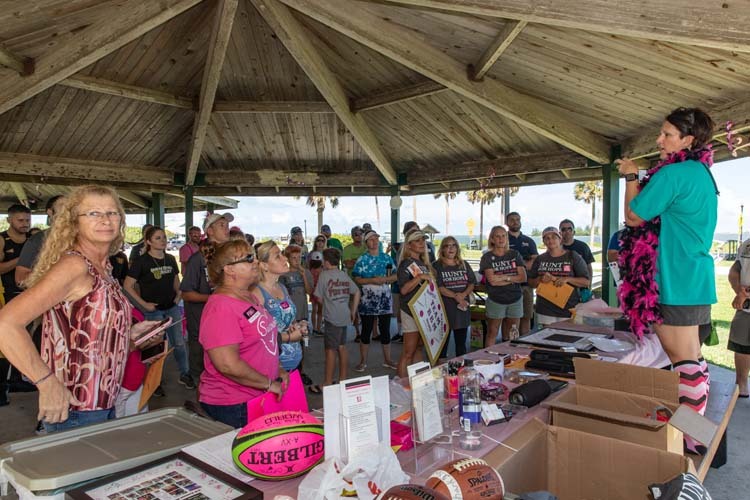 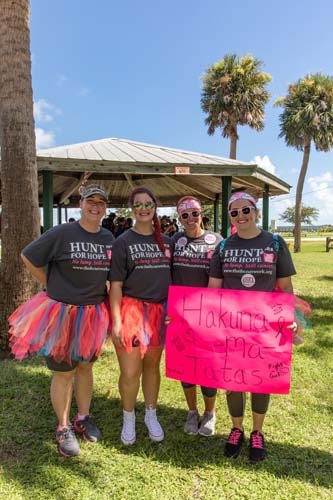 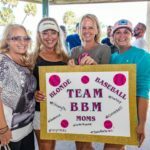 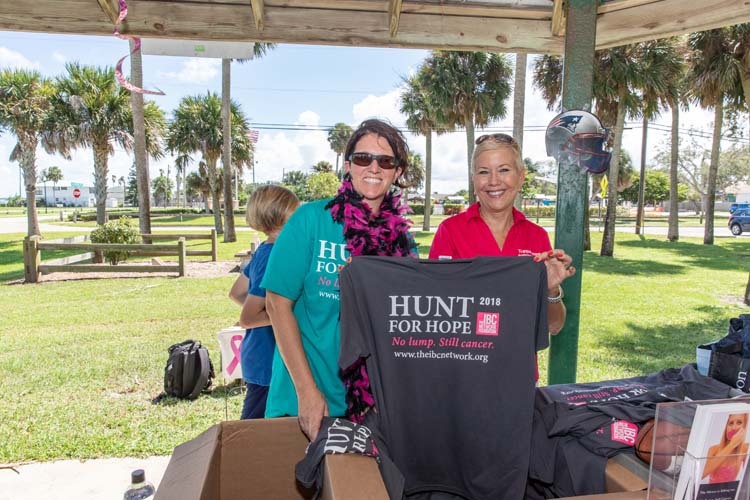 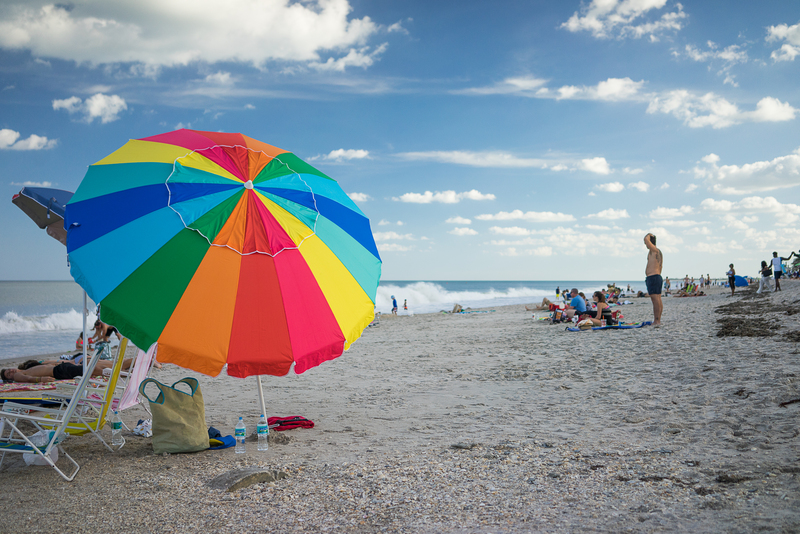 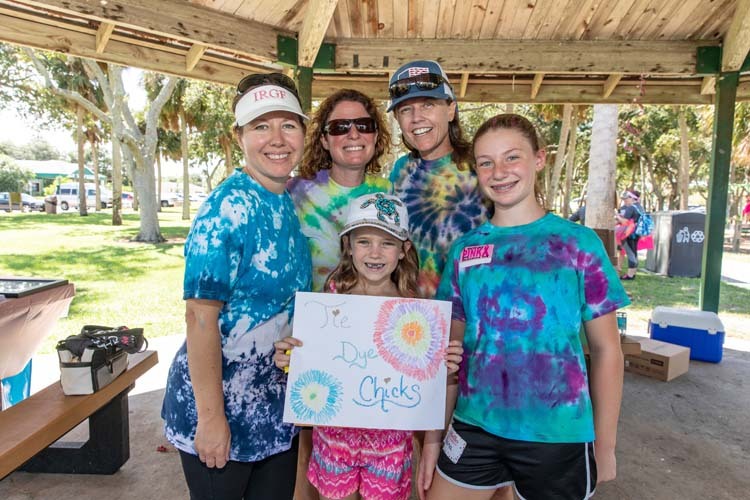 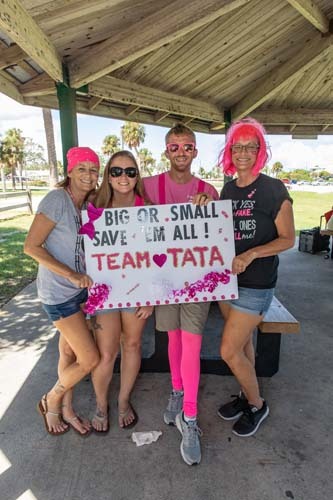 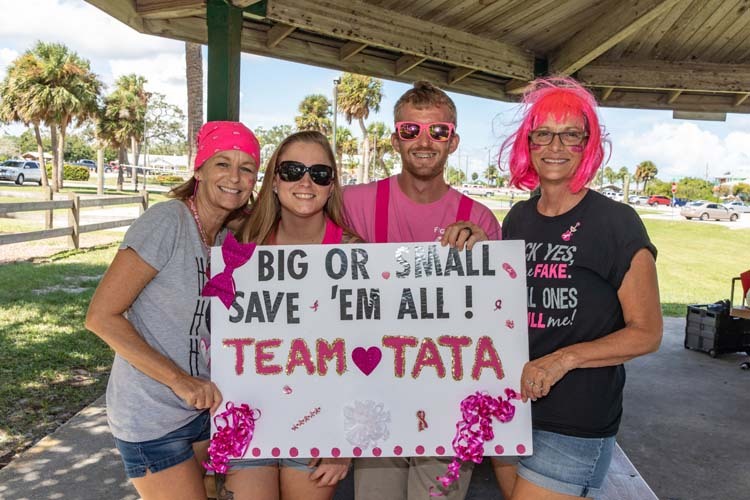 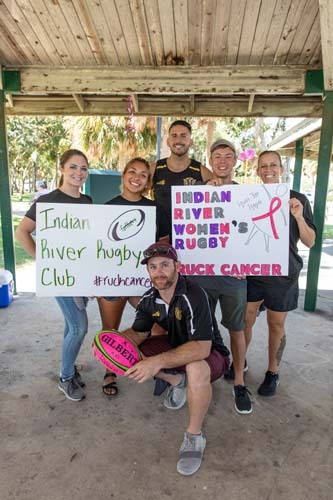 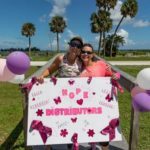 A pink hue settled over Sebastian recently, as folks set out for the sixth annual Hunt for Hope Florida, a scavenger hunt designed to raise awareness of Inflammatory Breast Cancer and fund clinical research through the IBC Network Foundation. 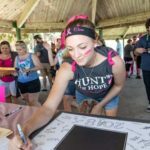 Kicking off Breast Cancer Awareness month in a big way, participants popped into local businesses in a rosy flurry, drawing the attention of passersby with an unabashed display of pink hair, socks, tutus, boas, suspenders, fairy wings and beads as they performed more than 60 wacky tasks during the three-hour scavenger hunt. 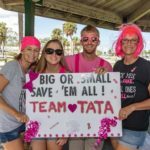 Flush with excitement, teams with monikers such as the Hakuna-Ma-TaTas, IBC Boobie Brigade and Team TaTa visited local venues to complete as many tasks as possible while also educating everyone they encountered about IBC. 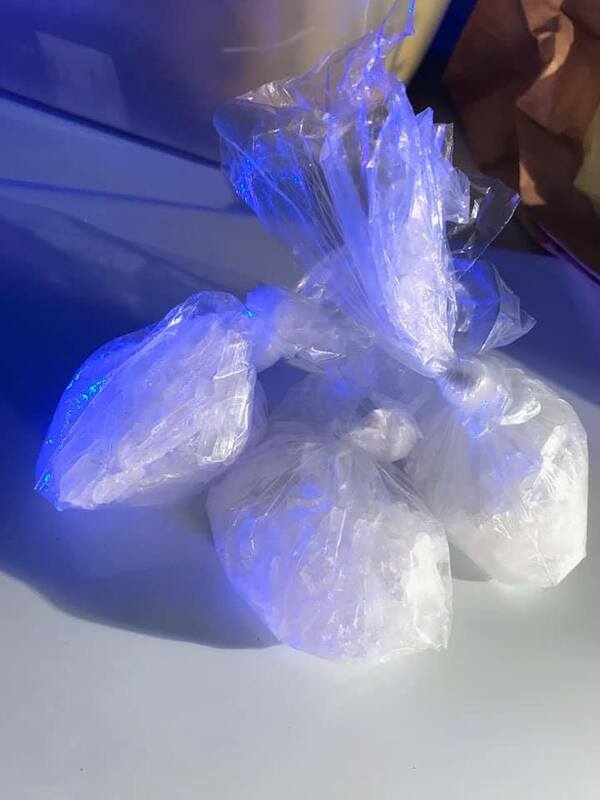 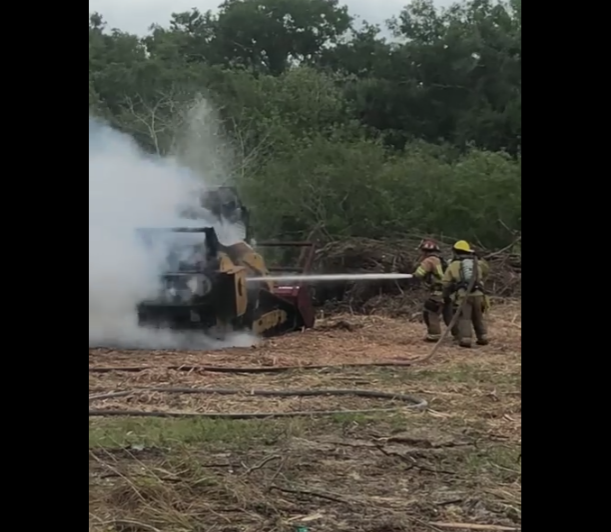 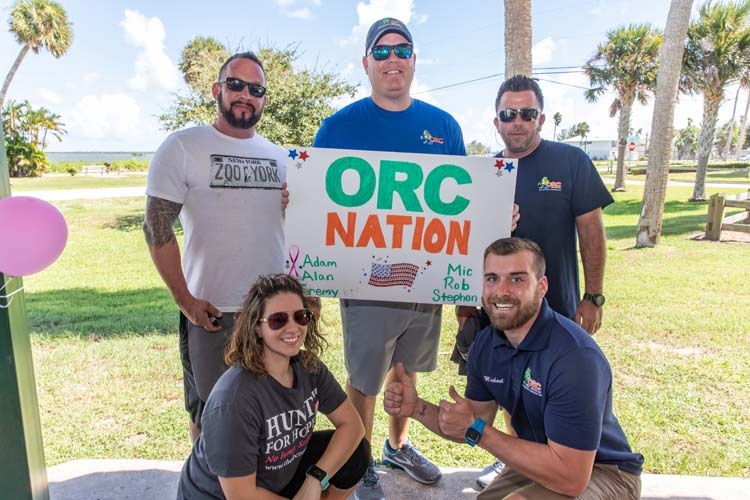 Teams sent back smartphone photos and videos of themselves performing planks, counting pepperoni, pilfering coasters, reading books, flossing a team member’s teeth, playing thumb wars, running through a sprinkler, making a sand angel and singing the National Anthem. 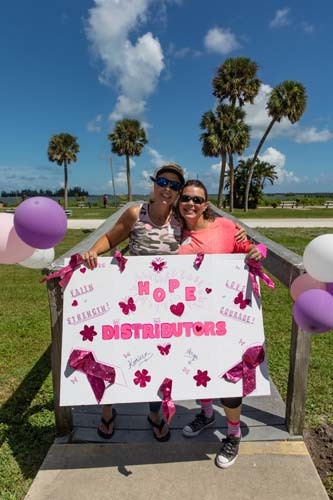 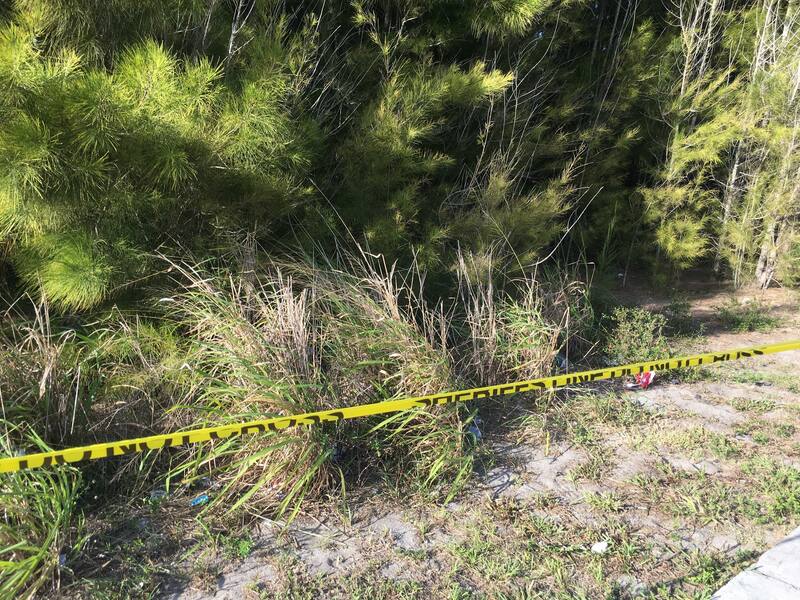 As each group trekked through Sebastian, their rosy attitudes belied the seriousness of IBC, a little-known killer. 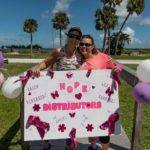 Although considered the most fatal of all the breast cancers, IBC receives minimal research funding. 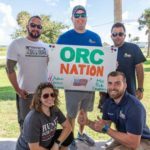 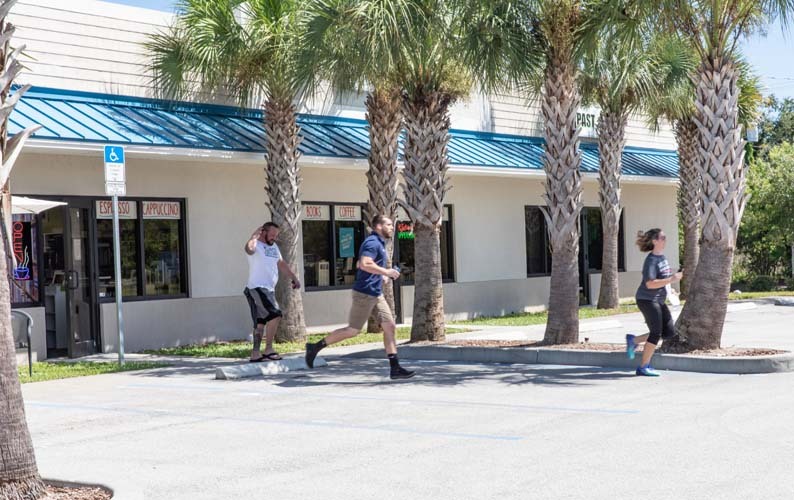 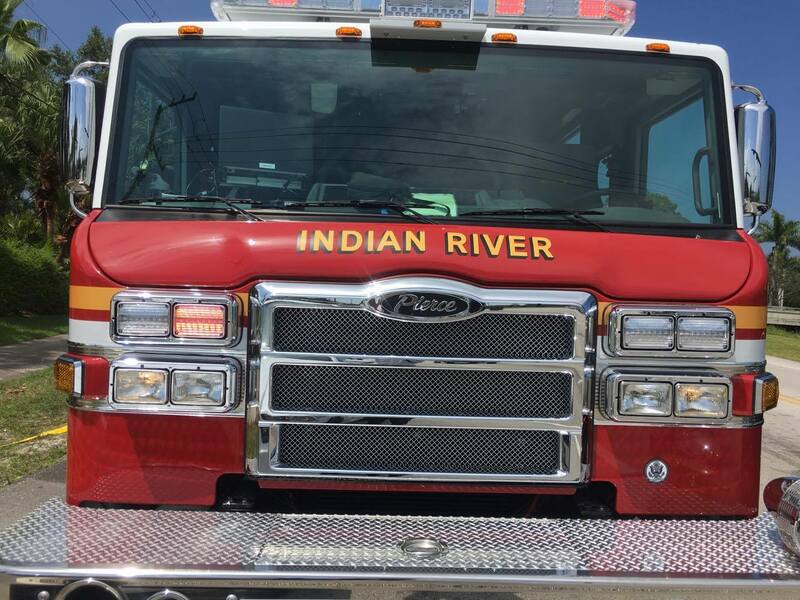 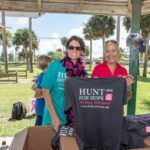 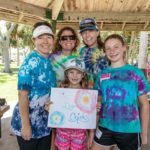 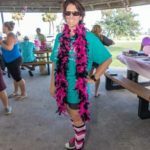 Dr. Holly Hamilton, owner of Riverside Family Dental in Sebastian, was moved to start Hunt for Hope Florida in honor of her friend Dr. Lori Grennan, who lost her battle with IBC five years ago. 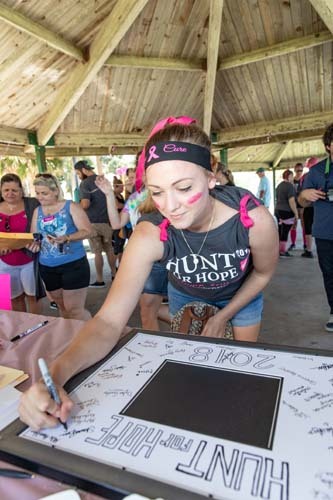 While combating the disease, Grennan founded the first Hunt for Hope in Ohio to help provide funding to the IBC Network Foundation, which was established by IBC survivor Terry Arnold. 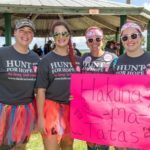 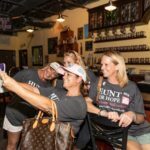 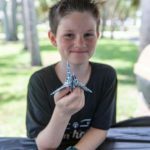 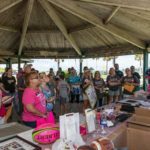 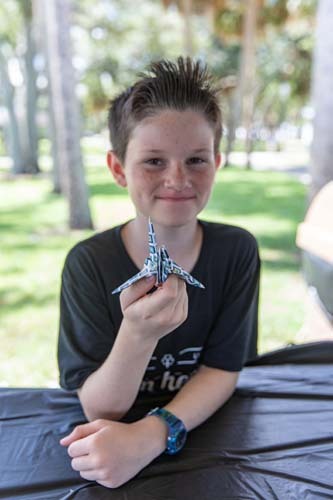 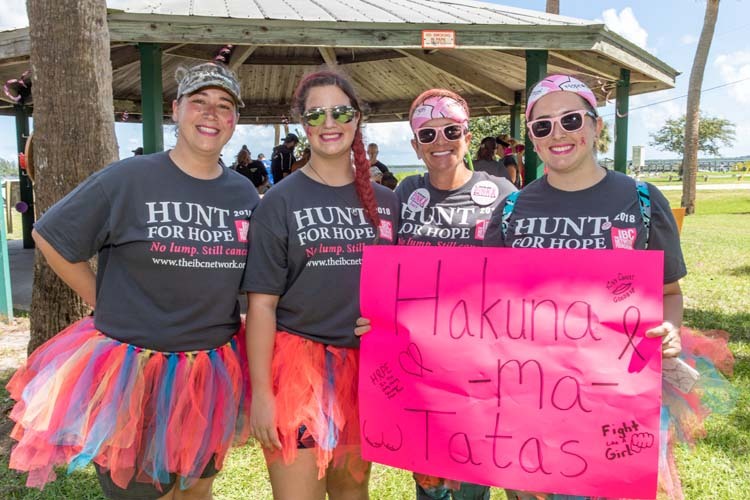 Since its inception, Hunt for Hope events nationwide have raised more than $1.1 million, with 100 percent of the proceeds funding IBC research. 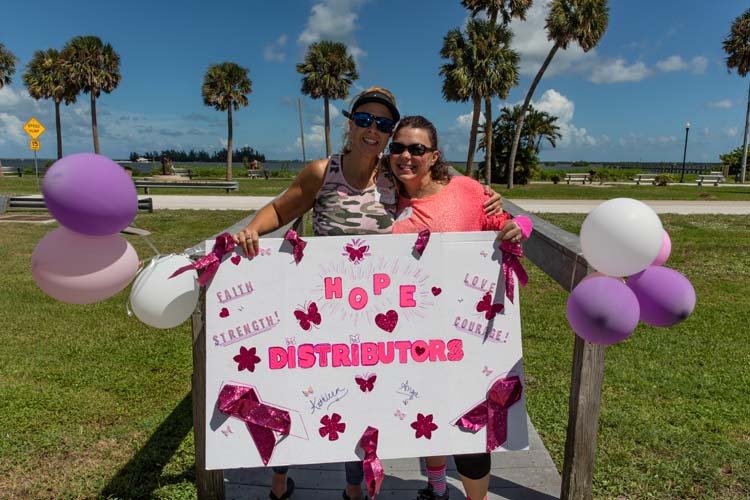 IBC is a highly aggressive form of breast cancer that generally affects younger women. 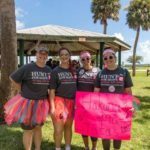 This rapidly progressive cancer is often misdiagnosed and/or undetected until it has reached stage III or IV. 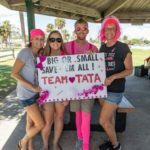 Left untreated, the cancer spreads to other areas of the body, significantly reducing survival rates. 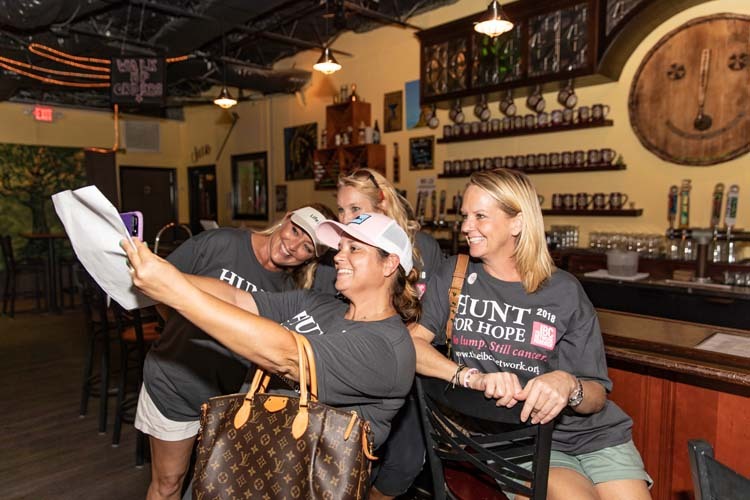 While cancer survivor Kathleen Brown said she didn’t have IBC, she joined the hunt knowing firsthand the importance of cancer research. 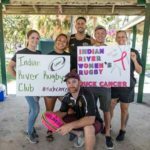 For more information visit theibcnetwork.org. 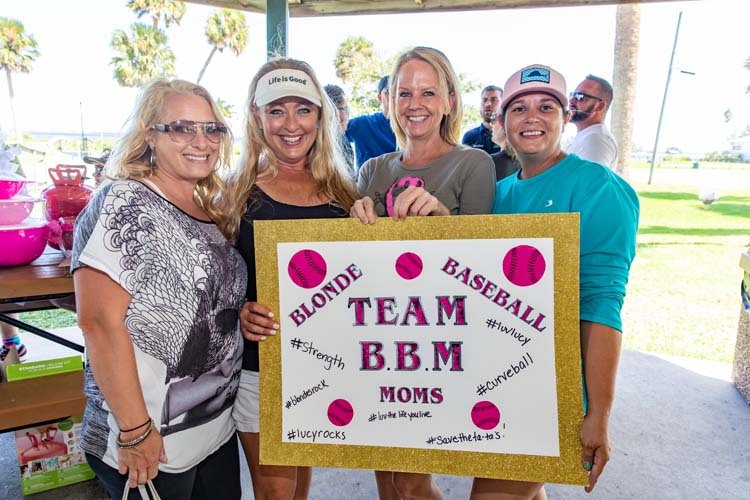 Christine Marshall, Jennifer Roberts, Amy Speak, Alaina Roberts, and Kelly Speak (front).